Nobody moves to the remote Scottish island of Bancree, and few leave – but leaving is exactly what seventeen-year-old Flora intends to do. So when a mysterious man and his daughter move into isolated Dog Cottage, Flo is curious. What could have brought these strangers to the island? The man is seductive but radiates menace, while Flora finds a kindred spirit in his daughter Ailsa. Life on Bancree becomes desperate as people begin to disappear. Reports of missing islanders fill the press and unnerve the community. When a body washes ashore, suspicion turns to the newcomers on Dog Rock. Convinced of their innocence, Flo is fiercely determined to protect her friend Ailsa. Could the answer to the disappearances, and to the pull of her own heart, lie out there, beyond the waves? The Visitors is my debut novel, published by the mighty Quercus Books in June 2014. It is now available from Amazon (other booksellers are available – buy local if you can, folks). If you’d like to read more about some of the story inspirations, here are my thoughts on selkies, and here’s my love letter to the Scottish islands. I’m pleased to say that so far, the reviews have all been pretty positive, and there have even been a couple of awards: The Visitors was Book of the Year for There’s Been A Murder, joint winner of the 2014 Book Box prize, and winner of the Guardian’s Not The Booker prize. It was Book of the Month in February 2015 for Waterstones Scotland, and features as part of W.H.Smith’s Fresh Talent 2015. THe Visitors will be published in U.S. in December 2015 by the mighty Melville House. Bookmunch called The Visitors the strongest genre-fiction debut of recent years. We Love This Book found it lyrical yet gripping, and made it their Book Of The Week. The Big Issue found it dreamlike, delicate and compelling. Crime Fiction Lover gave it 5/5 and called it a heady mix of myth and modern life – prepare to be haunted, entranced and intrigued. Tor.com called it immensely atmospheric, an astonishingly assured debut. Cadaverine made it one of their picks of 2014, describing it as a perfect potboiler, and a beautifully realised coming of age story. Raven Crime Reads thought it was atmospheric, mysterious, and is imbued with a beautiful dream-like quality. The Quietus read it as an edgy supernatural ‘whatdunnit’ … a meditation on myth. Book Addict Shaun found it original, breathtaking and atmospheric – addictive reading. Upcoming4.Me called it an excellent and dreamy debut – a perfect book to get lost in. The List thought it was intoxicating and enchanting. The Book Trail mapped it out as captivating, atmospheric and unique. Being Obscure Clearly felt it was quietly unsettling, and deserves more attention. Crimesquad.com reviewed it as richly written… a real page-turner of a novel. Saga Magazine found it wonderfully atmospheric – sends shivers down the spine. Glasgow Sunday Mail thought it was an ode to storytelling – a murderous whodunnit of myth. Newbooks gave it 5/5 and called it atmospheric, realistic and poignant. …and Do You Write Under Your Own Name thinks I’m a name to watch to years to come, which is lovely. No pressure there, then. If you’re interested in reading The Visitors for your book blog or review site, then please get in touch, and we’ll see what we can do. I’ve also put together a wee playlist of the sort of songs I wrote to. If you’d like a sense of how The Visitors soundtrack plays out in my head, have a listen to Spotify. Thanks for your kind words, Melanie! I hadn’t heard of this until it appeared on the Guardian Not the Booker list but it sounds so good I shall have to add it to my to read list. Brilliant – hope you enjoy it, and thank you! Hi, found your site while Googling selkies, was drawn by the pic of the woman in the sea surrounded by the seals, which reminds me of sea swlmming on childhood holidays and the wish I used to have then to be part of the sea. I wrote the song “Selkie” with my band Strange Tales, then had to cut the last verse for reasons of structure and length, but it always bothered me that the result left the song with a sad ending and with a woman trapped. I am now working on a sequel to redress the balance. It may turn out bloody, or hopefully everyone will get out in one piece! Won’t know until I’ve finished it. Meanwhile, I have ordered your book on Amazon, to experience your take on a strangely gripping myth. What an awesome message, Sally – thanks! Selkies are amazing creatures. Thanks for ordering The Visitors – hope you enjoy it. The idea of being trapped, then escaping, is a big part of the book. I’ll definitely check out your song when I’m not on the move. 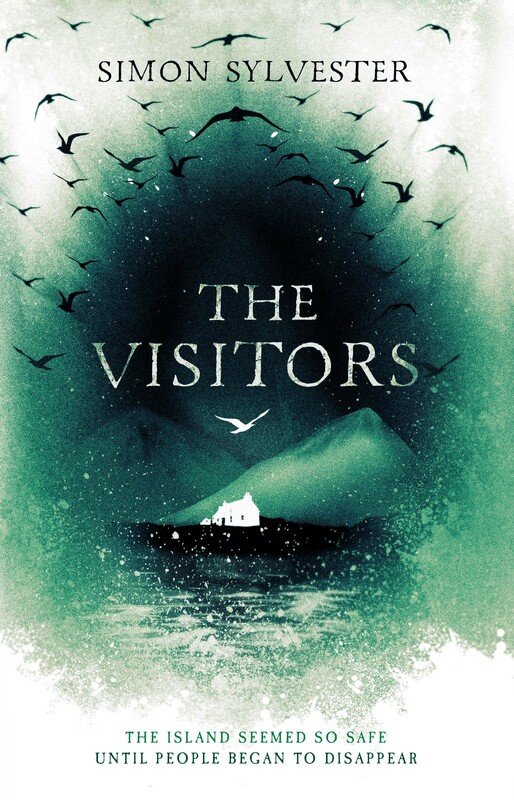 Hi, have just finished reading The Visitors, thought it really captured the feel and the theme of the myth and gave it a different spin by linking it to the whole “coming of age” thing – enjoyed it lots thanks! My old Selkie song is partway through the recording process at present so might take a while before it’s available, but I am working on the sequel now on acoustic guitar so will probably be airing that soon at all the local open mics . There are other songs up on http://www.soundcloud.com/strangetales if you are interested. Best of luck with your future writing! Was a lovely read. Thouroughly enjoyed this story. The final chapter of the Selkie part, with John and Ailsa was a bit choppy and rather hard to follow, (I am still not sure of that aspect of the story). I can honestly say, if that portion of the story had been more clear, than this would be a book that would live with me and be read over and over. All in all it was an amazing courageous wonderful read. I could not put it down. Thank you Simon. I wonder though, when will “hollows” be published? I am finding it difficult to gather much information on it. Thanks for getting in touch, and I’m very happy you enjoyed the book. Thank you. No news on The Hollows, I’m afraid. I’m attempting a third draft, and we’ll see how that goes.